Came across this display when I was walking around the neighborhood during the 4th of July. 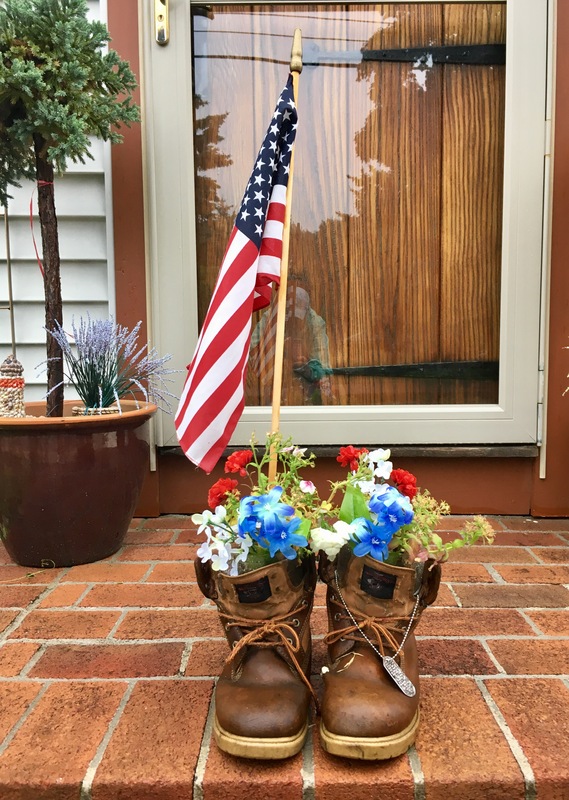 When I moved to Plymouth I had tossed out my old LL Bean boots that I had used as a planter. I always thought it looked nice but after about 5 years as planters the boots started to stink. I should buy some cheap boots to make into planters.